IBM announces new Power9 processor based E950 E980 server systems. As a single server or node, the Power9 E950 supports up to four (4) CPU processor sockets each with multiple cores. An E980 system comprises up to four E950 based systems as a solution. The new E950 succeeds Power E850 and E850C, its machine type model number is 9040-MR9 that is a 4U single enclosure with two or four processor modules. 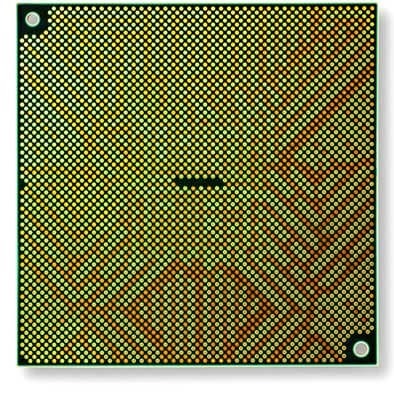 As a refresher, leveraging IBMs proprietary processor chip technology called Power, which are used in their various mid-range and higher end server solutions. The Power9 E950 and E980 systems support PowerVM virtualization, along with virtual machine (VM) mobility as well as optimization for OpenStack among other workloads. The following image (via IBM.com) shows an exploded component view of the E950. The following image (via IBM.com) shows a top view looking down into an E950. Refresh your server, CPU, compute, socket, core and threads knowledge here. 12 internal 2.5” form factor storage bays for HDD and SSDs including up to eight (8) SAS SAS, and four NVMe U.2 (8639). Note that NVMe devices attach via PCIe ports and lanes. Here is a refresher (or primer) on PCIe, as well as NVMe, SAS, and SSD technologies. The IBM E980 system is a collection of up to four nodes along with a control module, a cabinet rack E980 system is shown below (image via IBM.com). View more features for E950 here (PDF) and E980 here (PDF). These new systems provide increase in not only compute, also memory as well as server I/O for storage and networking. With the addition of multiple PCIe Gen4 x16 card slots, more GPUs such as those from NVIDIA as well as fast Fibre Channel, SAS and NVMe based storage can be attached to these systems. With a good number of x16 PCIe Gen4 slots, the E950 and E980 systems are capable of supporting more GPU offload cards such as those from NVIDIA, along with other ASIC or FPGA accelerator devices. In addition to compute offload, the x16 PCIe Gen4 slots enable server I/O cards to more storage devices including faster Fibre Channel, Ethernet, SAS as well as NVMe attachment. 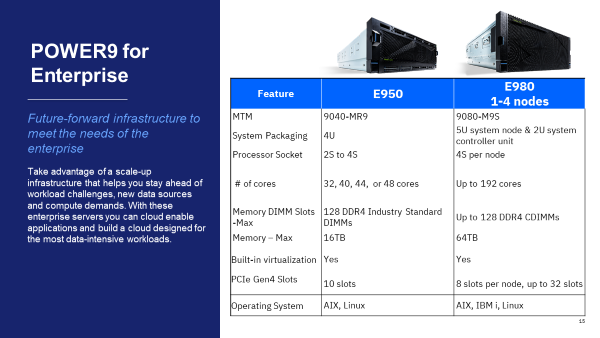 Overall, IBM announces new Power9 processor based E950 E980 server systems is a good move for existing customers of AIX, Linux as well as with the E980 for i systems.